Vroom! Zoom! A carefree witch and her faithful cat are flying through the wind on a broomstick – and lots of fuzzy friends would love to hitch a lift. Is there room on the broom? “Yes!” cries the big-hearted witch! 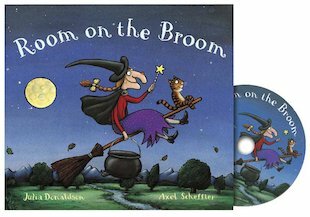 What with a dog, a frog, a bird, a cat, one cauldron and one witch on board, it’s a busy and bumpy ride on the broom – until it snaps in two! Oh no! Just as they all land in a bog, a scary dragon appears. Can the witch’s grateful passengers save the day? 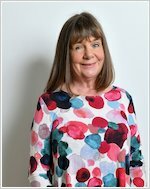 Listen along to the audio story CD as you enjoy this sweetly spooky rhyming favourite by Children’s Laureate Julia Donaldson. This is about a witch who keeps losing things.